Originally established for the sole purpose of accrediting OHS professional education programs the Accreditation Board has taken on a much broader role in OHS professional education to include custodian of the OHS Body of Knowledge and, where appropriate support OHS research. 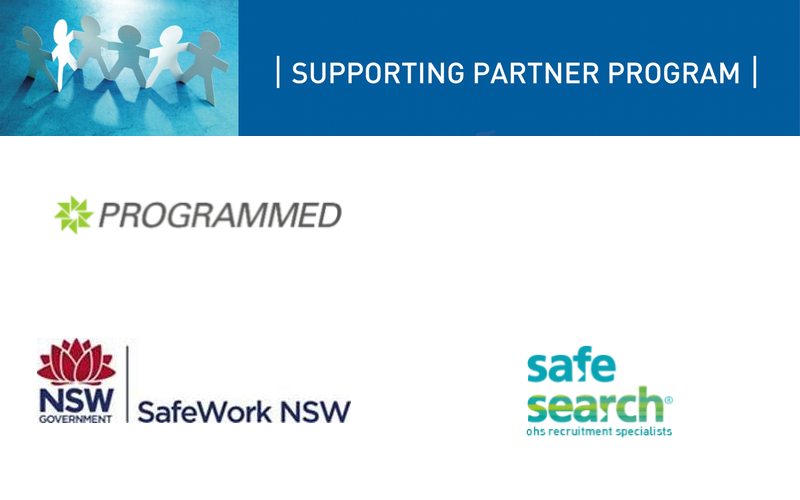 These broader activities are made possible through Supporting Partners who share the vision with the Accreditation Board of quality OHS professional education and capable OHS professionals being vital to improved health and safety in Australian workplaces. Included in opportunities for engagement with the WHS research and education community and the OHS Body of Knowledge. Supporting partners also demonstrate their commitment to the Australian Work Health and Safety in a very visible manner. Join other organisations that are supporting the Australian OHS Education Accreditation Board, quality OHS education and OHS capability in Australia. Reflecting the relationship with the Safety Institute of Australia, Supporting Partners are drawn from Corporate Members of the SIA who choose to direct their support to the Australian OHS Education Accreditation Board. Information on the SIA Corporate Member Program is available at https://sia.org.au/membership/corporate-membership. Find out more about the Supporting Partner program. Read letter of recommendation by Chris Sutherland, Managing Director Programmed and member of the Accreditation Board. 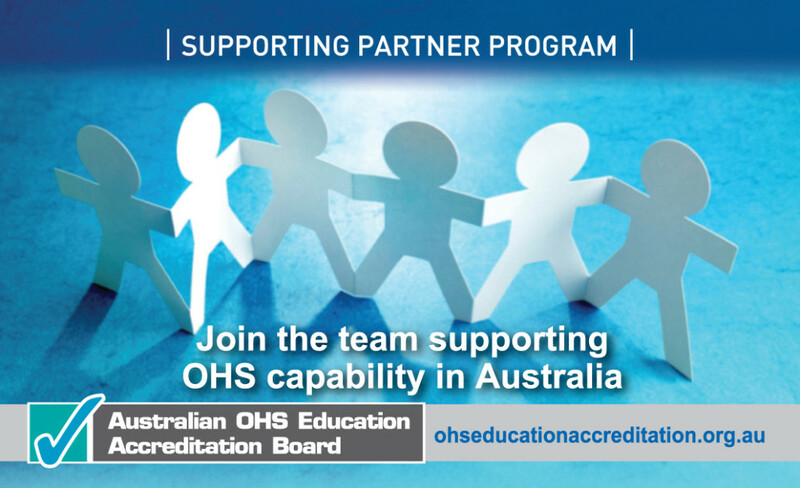 Join other organisations that are supporting the Australian OHS Education Accreditation Board, quality OHS education and OHS capability in Australia.Organisations that are Supporting Partners are recognised through a certificate and a logo for display on their web site. Supporting partners also demonstrate their commitment to the Australian Work Health and Safety in a very visible manner. Supporting partners are an integral part of the activities of the Accreditation Board. Through their support for the Australian OHS Education Accreditation Board Supporting Partners demonstrating, in a practical way, their commitment to the Australian Work Health and Safety Strategy 2012-22, Healthy, safe and productive working lives and particularly achievement of the strategic outcome that those providing work health and safety education, training and advice have the appropriate capabilities. The Supporting Partners have all signed statements of commitment to the capability outcomes of the Australian WHS Strategy. Click here to see these statement of commitment. Supporting partners receive regular updates on the activities of the Accreditation Board. See the July 2013 Update.